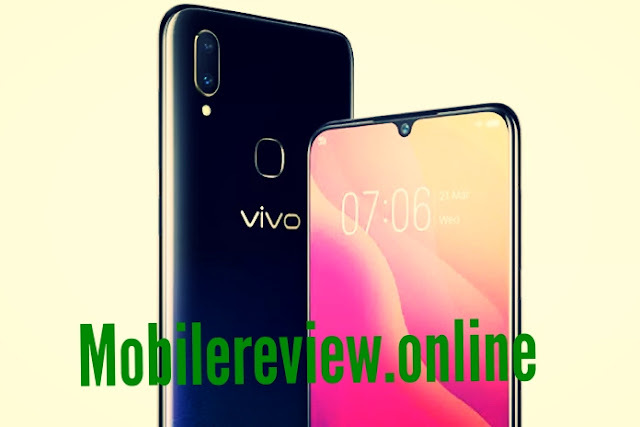 Vivo Y95 launched in India, equipped with 20 megapixel selfie camera - mobilereview.online - The Ultimate resource for mobile phones reviews, specification, information. Chinese smartphone maker Vivo has launched its Vivo Y95 smartphone in India. Speaking about the important features, Vivo Y95 has a 20-megapixel front camera and a dual-back camera setup. It comes with 6.22 inch screen and Android 8.1 Oreo. Remember that Vivo Y95 was launched this month only in the Philippines. Vertical dual rear camera on the back panel of the phone, fingerprint sensor for security and knock on Front display front panel. Vivo Y95 will be sold for Rs 16,990. This phone will be available in Story Night and Nebula purple colors. Interested customers can buy this handset from e-store in Flipkart, Amazon.in, PayTM and Vivo India. Vivo's handset is also available in retail stores all over the country. Talk about the launch offer, handset is available with interest-free EMI. A cashback coupon of Rs 1,500 from Paytm will also be available. Cashback of Rs 4,000 is being given by Reliance Jio. Apart from this, 3 GB free data will also be provided. The Dual SIM Vivo Y95 Android 8.1 OS-based Fan Touch runs on OS 4.5. The phone has 6.22 inch IPS HD + (720x1520 pixels) display. 2.5D of curved glass has been used to protect the screen. For speed and multitasking, the 1.9 GHz Qualcomm Snapdragon 439 Octa-Core processor has Adreno 505 for graphics and 4GB RAM. To save photos, videos and more, there is an internal storage of 64 GB, it is possible to increase storage with the help of MicroSD card. Accelerometer, light sensor, face unlock, and proximity sensor are part of the phone. Now call camera setup. Vivo Y95 has 13 megapixels and 2 megapixel sensors with LED flash and PDAF for photography. Plus, there is a 20-megapixel front sensor for selfie and video calling which comes with AI Face Beauty and selfie flash support. For promoting the phone, 4,030 mAh battery can be given. Connectivity will be available for WiFi, 4G volts, Bluetooth, OTG, GM radio, GPS, GLONASS support.